"Simon Simonse’s Kings of Disaster is a monumental achievement. I believe it is the most important work on the long-mooted topic of divine kingship yet written, a book that brings the questions debated since the time of Sir James Frazer and Evans-Pritchard to a final, definitive resolution: everything from 'did Africans really kill their sacred kings?' to 'what is the real nature of the principle of sovereignty that still lies behind the bureaucratic forms of the modern nation-state?' The answers are never quite what we expected. If there is such a thing as progress in anthropology, and not just shifting fashion, then this book must stand as the starting-point for any future discussion on these topics." "The ethnographic richness of this volume is astonishing: the author has ransacked archives, combed historical accounts, and carried out superb fieldwork himself... The volume offers a more unified vision of the region and of the problems raised by these kingdoms than the isolated monographs about these peoples written in the wake of Evans-Pritchard." "It is impossible to overstate the achievement of this book. 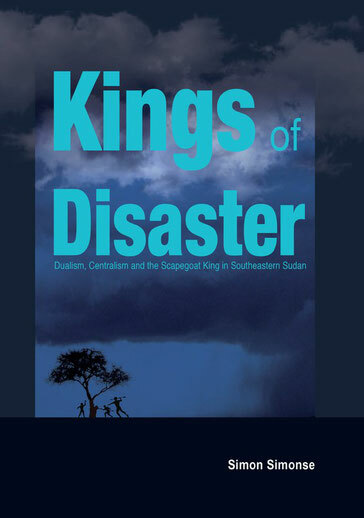 With an exemplary combination of empirical rigour and theoretical daring, Kings of Disaster transforms the landscape of African studies while forcing us to think in new ways about the origins of political power and the state."